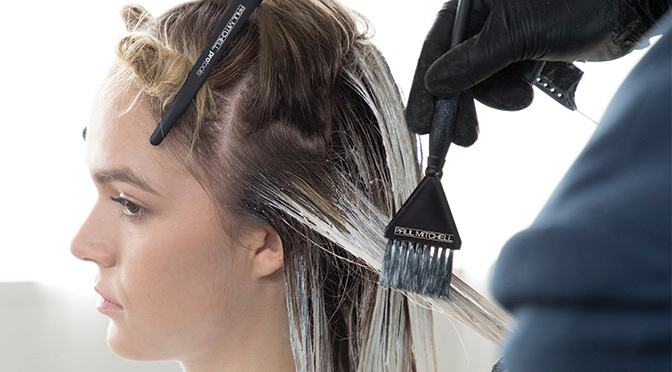 Colin Caruso, Artistic Director of Professional Hair Color, talks the business of blonding. Q: What is the best way to transition a client to blonde? A: Start with proper communication prior to applying any foil or lightener. The definition of blonde varies from guest to guest—make sure you connect visually with your guest on how they see blonde prior to starting. Make sure their expectations are realistic. Sometimes blonding can be a process and cannot happen in one visit. Q: Where do you see opportunity with the expansion of the Blonde category? A: What I love most is that every blonde is unique and the expansion of blonding products helps me further support their individual needs. Blondes typically fall into one of three categories: those concerned with overall hair health, tone or length. 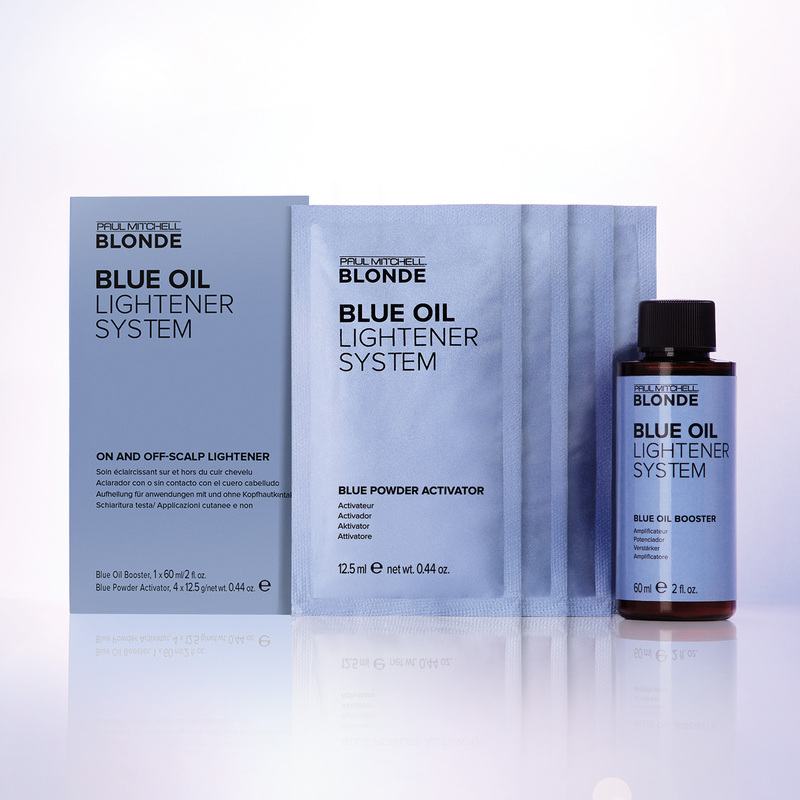 Paul Mitchell® has created a complete system of blonding products, including the Blue Oil Lightener System. 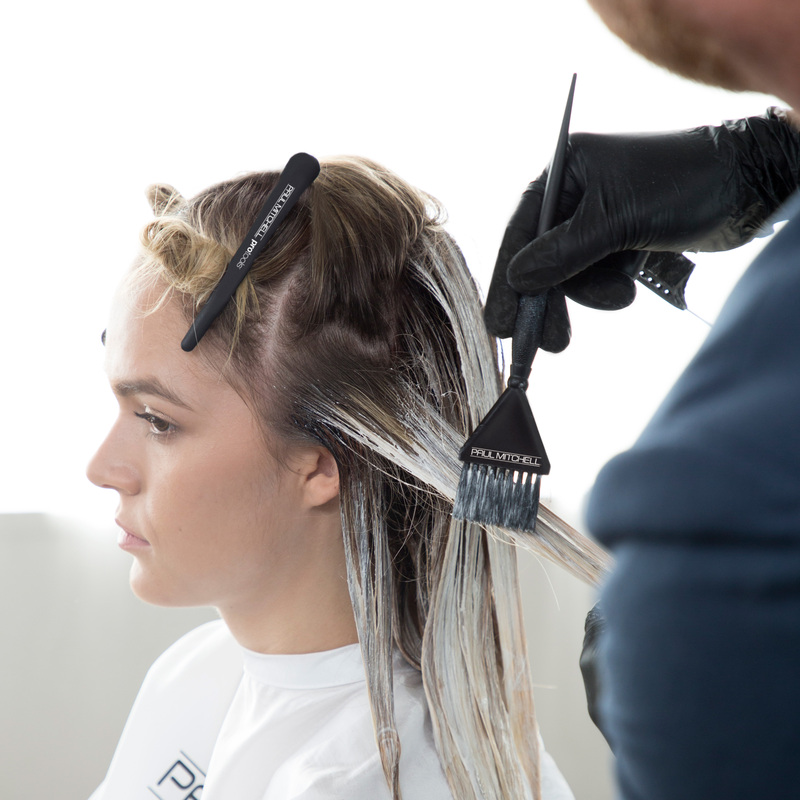 We not only have professional products available at the Color Bar℠, but we also have individual Take Home℠ products that suit the needs of every unique blonde walking into the salon. Q: What is your favorite blonding technique? A: I really just love blonding as a whole—it is my favorite service to perform at the salon—but if I had to pick a favorite, it would be balayage. It’s super relaxing to me and clients love the results. Q: What is your favorite blonding formula? The lightest shade of blonde placed where I want to draw the eye. The deepest blonde color placed behind the lightest to make my lighter shade pop. The shadow color (which is simply a color between my lightest and darkest) blends or softens the two together. This theory can be used in any blonding technique, from balayage to block color to foil highlights. Create a blonde that works best for what’s important to your guests. Colin suggests transitioning guests slowly over time, which prevents clients from being shocked by a dramatic transformation while keeping the hair healthier overall. For more information on all things blonde, click here.